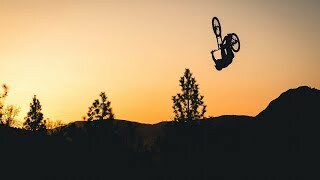 Local Vancouver, British Columbia and Giant Bicycles athlete Reece Wallace recently joined up with legendary mountain bike film producer Scott Secco to head down to New Zealand. This is part of Reece’s annual preseason pilgrimage to get his riding legs and flow going for the upcoming season. Reece says the riding very similar to British Columbia with big mountains, lush forests and deep loam which make the riding feel just like home for him. Check out the ‘Sweet As” feature the boys put together. With big jumps and front flips I can’t think of a better way to start the riding season!